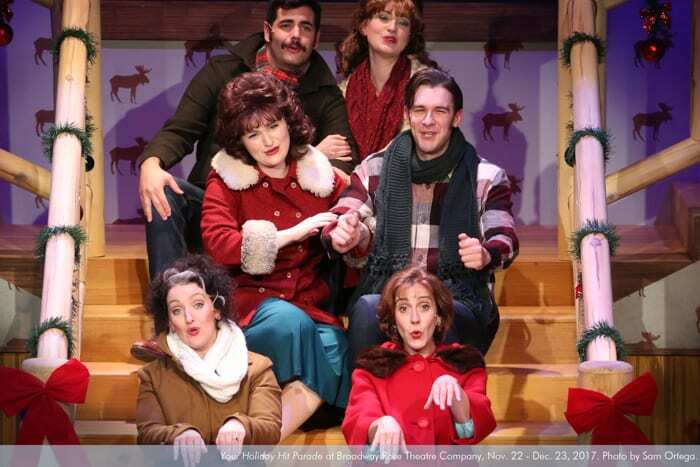 Enjoy holiday hits of yesteryear alongside contemporary charmers in this tuneful new revue created by Portland’s own musical theatre maestro Rick Lewis (creator of A Taffeta Christmas and Christmas on Broadway) and Broadway Rose co-founder Dan Murphy. In an old forgotten hotel, ghosts of Christmas music past materialize to perform anew the classics of the ‘40s, ‘50s, and ‘60s – and pick up a song or two from the current day courtesy of a pair of spirited tourists. *Talk-backs are free and open to the public. They begin immediately following the first Saturday matinee performance of the mainstage production and are held in the theater. You do not have to attend the Broadway Rose production in order to attend the talk-back. 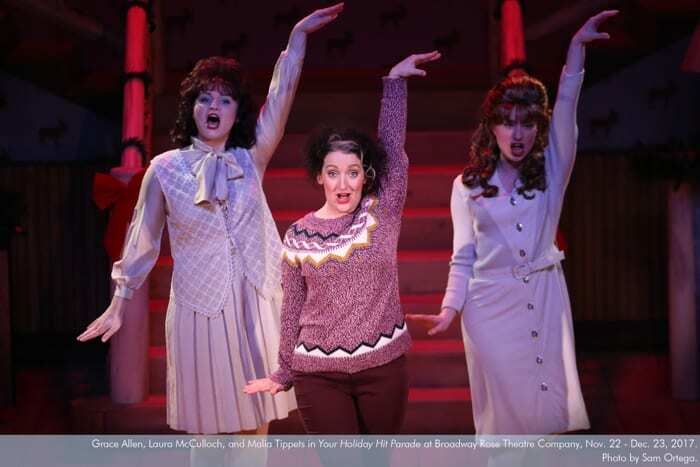 Debbie Hunter is always delighted to return to the Broadway Rose family, especially for the holidays! In recent seasons, Debbie has appeared as Karin in Church Basement Ladies and Carrie in Whodunit. You also may have seen her in the first productions of G.I. Jukebox/G.I. Holiday Jukebox, as well as A Christmas Survival Guide, The Gifts of The Magi, and Some Enchanted Evening. Debbie has appeared in numerous roles, both musical and non-musical, at several area and regional theaters including Portland Center Stage, Dallas Theater Center, Musical Theater Company, Lakewood Theatre Company, Stumptown Stages, Quintessence, and Mock’s Crest, where she was honored with a Drammy Award for her portrayal of Charlotte in A Little Night Music. Debbie has entertained aboard several riverboats, performed with the Oregon Symphony, and was chosen to participate in the International Cabaret Conference at Yale University. She also released a CD of jazz standards called Love is in the Air. Debbie received her B.F.A. 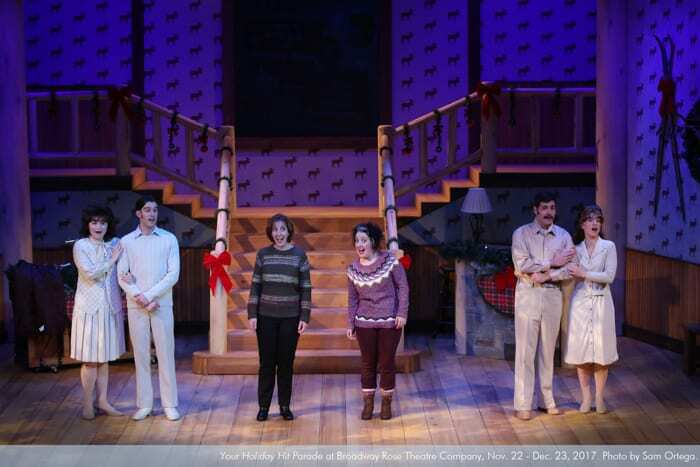 in music theatre from Illinois Wesleyan University and is married to playwright and director Connor Kerns. She has two cats, who do not like it when she sings above E flat. Laura has achieved a vibrant career in theatre across Australia, Asia, and the U.K. After studying at the prestigious Victorian College of the Arts in Melbourne, Australia, she graced the stage as Grizabella, Jennyanydots, and Jellylorum in Cats (world tour), Alexi Darling and ensemble in RENT (U.K.), Felicia Lipschitz in A Class Act (U.K.), and Pam in Baby (Australia), as well as various film and TV appearances. Most recently, Laura was delighted to make her Portland debut as Christine Daaé in Maury Yeston's Phantom with Stumptown Stages. Grace Allen is ecstatic to be returning to the Broadway Rose stage after her debut as an Ancestor in The Addams Family. Previous professional credits include Evelyn Sanders in 1941, Christmas From Home — a live radio play (Ralph Radio Theatre), Mom and Cleo in the national tour of Clifford The Big Red Dog — LIVE! (Mills Entertainment), the title role in Cinderella, and the Wicked Witch in the touring production of Wizard of Oz (American Family Theatre). Robert is THRILLED to be back home in the Pacific Northwest and performing here at Broadway Rose! 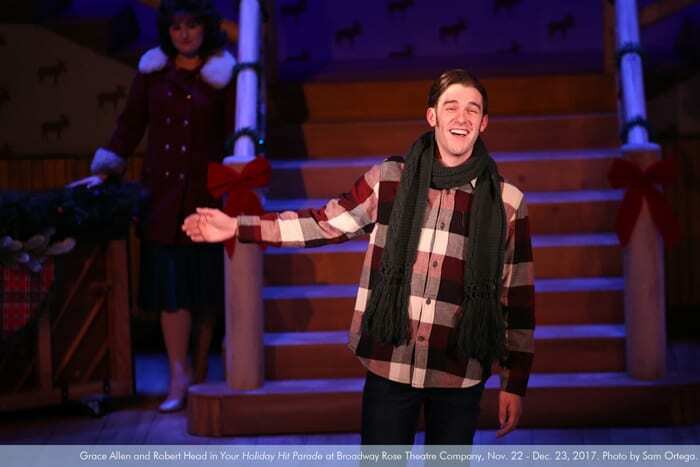 Robert is now based out of New York City but previous credits with Broadway Rose include Plaid Tidings, Cats, Hairspray, and Joseph and the Amazing Technicolor Dreamcoat. 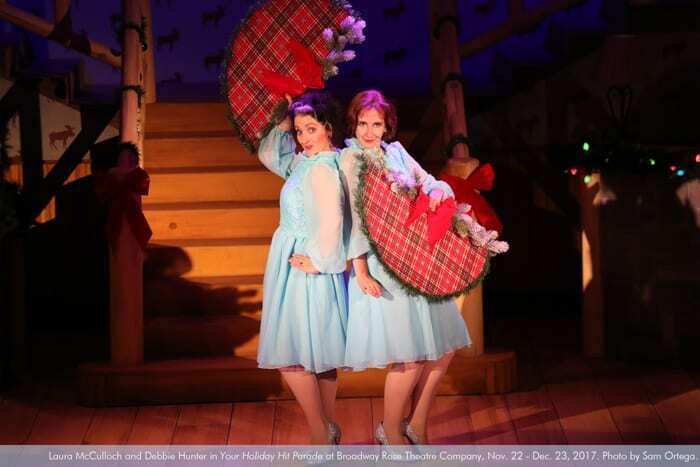 Other Portland credits: Fiddler on the Roof (Portland Center Stage), Legally Blonde (Pixie Dust Productions), White Christmas (Lakewood Theatre Company), Spring Awakening (Live On Stage). Regional: Newsies, Shrek, and Mamma Mia! (Tuachan Amphitheater), Austen's Pride (Finger Lakes Musical Theater Festival), and Saturday Night Fever (Royal Carribbean's Liberty of the Seas). Ryan Reilly loves Portland! He is thrilled for the opportunity to sing some fantastic tunes at Broadway Rose this holiday season. 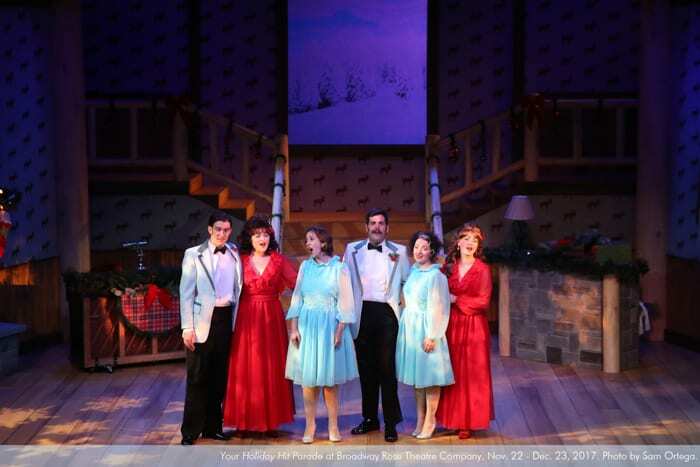 National tour: Irving Berlin’s White Christmas. New York City: Within the Law (Metropolitan Playhouse), The Short Fall and Woyzeck (Toy Box Theatre Co.). Regional Highlights: Beast in Beauty and the Beast (Alaska Center for the Performing Arts), Tom in The Glass Menagerie (Theatreworks, Colorado Springs), Cabaret (Music Theatre of Connecticut), The Boys From Syracuse and Mame (Drury Lane Chicago), A Christmas Carol, The Light in the Piazza, and Hairspray (Marriott Theatre Chicago), It’s A Wonderful Life: The Radio Play (Alhambra Theatre, Florida). Ryan holds a B.F.A. 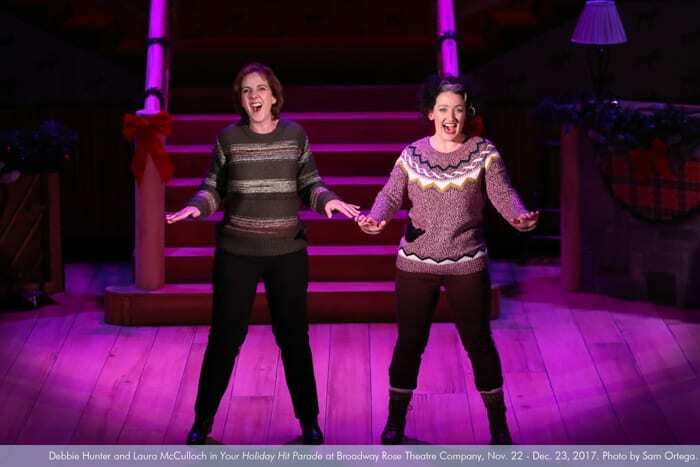 from University of Wisconsin – Stevens Point and has been a proud member of Actors Equity since 2004. Holding a degree in theatre performance from Marymount Manhattan College, Malia spent her college years performing in New York and went on to tour the nation in the mega musical Evita as Eva Peron. Returning to New York, she was featured in the “Town Hall: Rising Stars of Broadway” concert. She spent two years in Japan, performing as Elphaba in the Universal Studios production of Wicked before returning to Portland. Favorite Portland credits include Carrie: The Musical (Carrie White), Heathers: The Musical (Veronica Sawyer), and Fly By Night (Daphne). 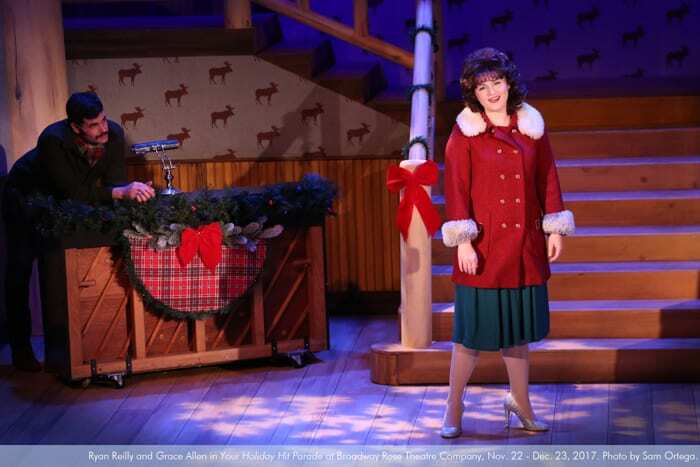 When we went looking for a holiday show for this season, we knew what kind of a show we wanted: One with an incredibly thin storyline on which to hang a lot of beloved Christmas tunes. And who better to make that happen than Rick Lewis! He graciously accepted the challenge of collaborating with me on the creation of this show and it has been a treat all these many months. Not only has Rick worked on over 20 shows here at the Broadway Rose over the years – whether it be as an actor, music director, or writer – but together we have probably worked on over 30 shows between here and various cruise ships around the country. There is a shorthand we enjoy and we clearly have a similar sense of humor. The tricky thing is hoping others find us as amusing as we do! This has been a labor of love and the idea of bringing a little seasonal cheer to our patrons was a joy. We really had a great time coming up with a funny plot. We sat and laughed and came up with all sorts of wacky premises. It was important to us that people come to the show and just enjoy themselves – leave their troubles behind and spend a couple of hours with us getting in the holiday mood. It has never made any sense to me that the holidays are considered stressful. I hope that you, sitting here reading this, are able to exhale, relax, and remember that the holidays are truly about family and friends and helping others less fortunate. Take delight in the tunes you haven’t heard in awhile and relish the new ones you will make part of your Christmas future. One of the definitions of celebrate is “to acknowledge a significant or happy day or event with a social gathering or enjoyable activity.” Thanks for celebrating the season with us, and here’s to a happy, healthy 2018! …go because you’ll be treated to two hours of all of your seasonal favorites sung exquisitely, with enough silliness to provide plenty of laughs and enough heart to make you feel all warm inside – just like Christmas is supposed to. Read more. 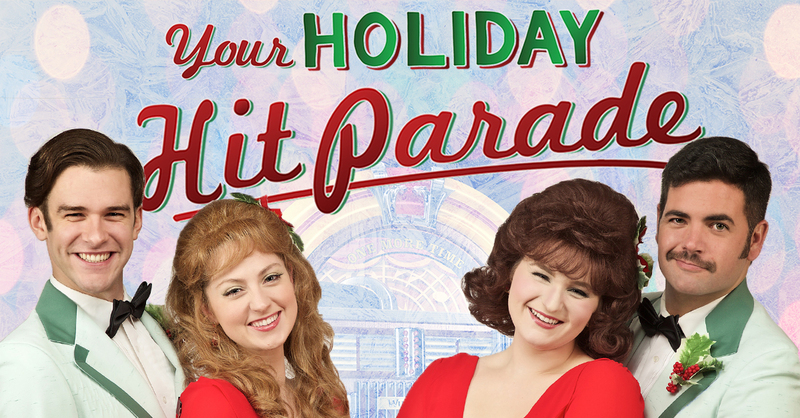 Broadway Rose is opening the holiday show season with a bang – a sparkling collection of songs old and new, mixing humor with breathtaking beauty…If you, like me, are sorely in need of a quick infusion of Christmas spirit, Your Holiday Hit Parade fills the bill delightfully. Read more. 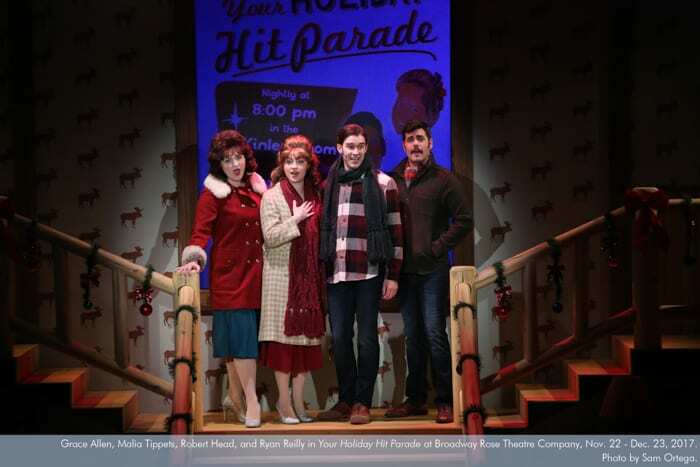 “Your Holiday Hit Parade” is the best of the Broadway Rose Holiday Revues I have seen…It was enough to push me over the threshold into a festive mood. I suspect it will do the same for you. Read more. 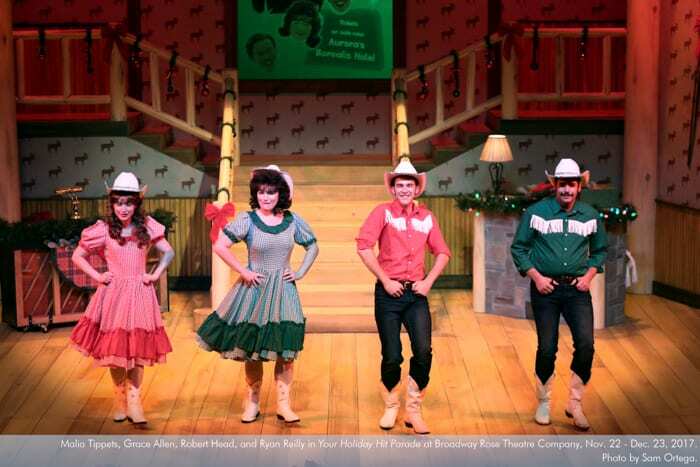 For me, the show was reminiscent of Lawrence Welk, and of the LDS road shows I attended in my teens, with great singing and light-hearted fun. Read more. After growing up in Lake Oswego, Malia Tippets worked across the U.S. and in Japan before appearing in shows back in the metro area… Read more.